How lovely are the new petite prints.....stripes and dots, oh and the floral and graph. 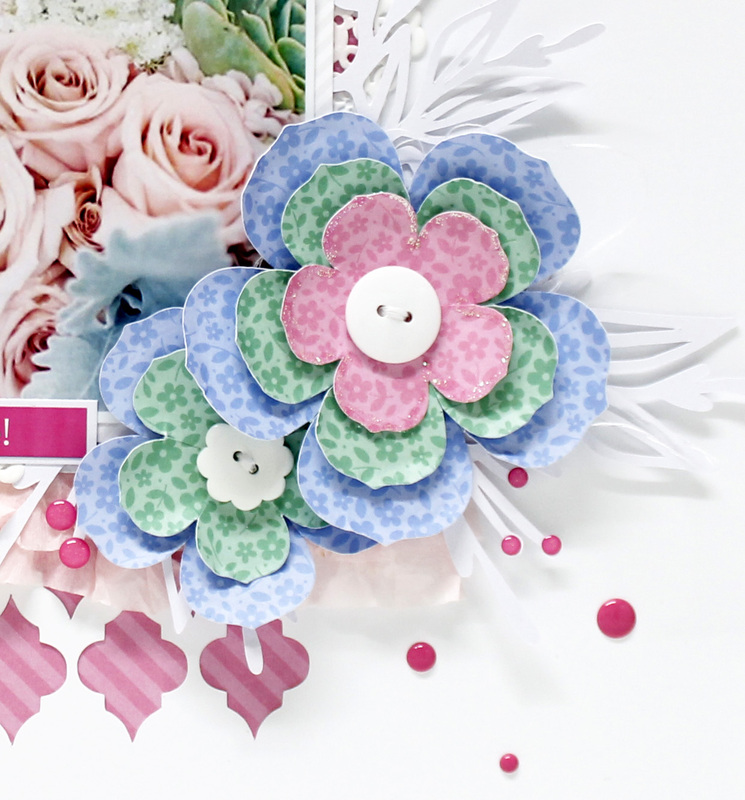 They are just perfect for adding lots of colour, whether it be a background or silhouette cut flowers. 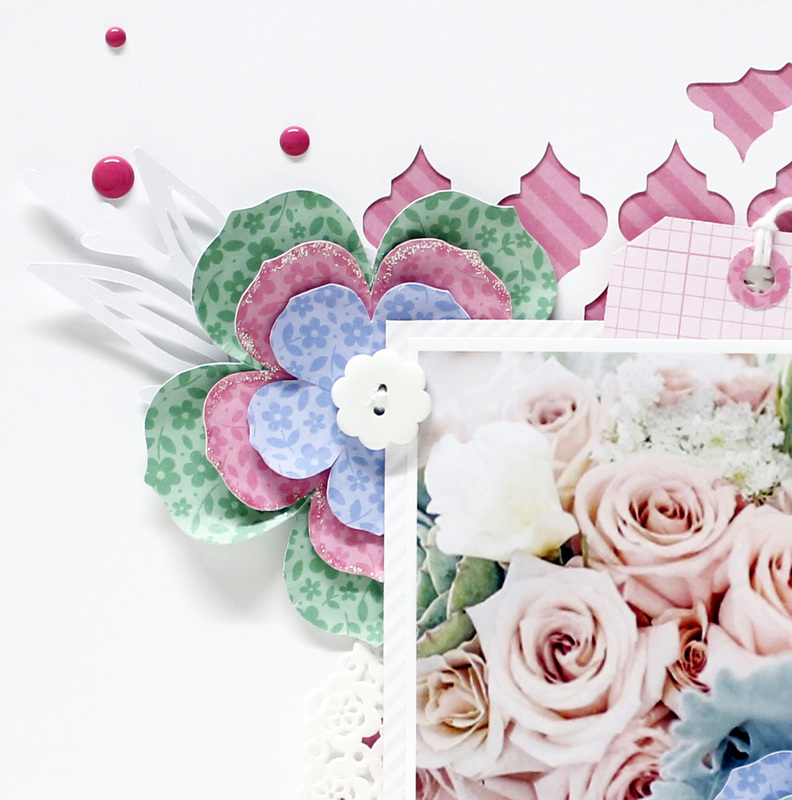 I started with a design idea to have big flowers cut from the floral and graph petite prints patterned paper. 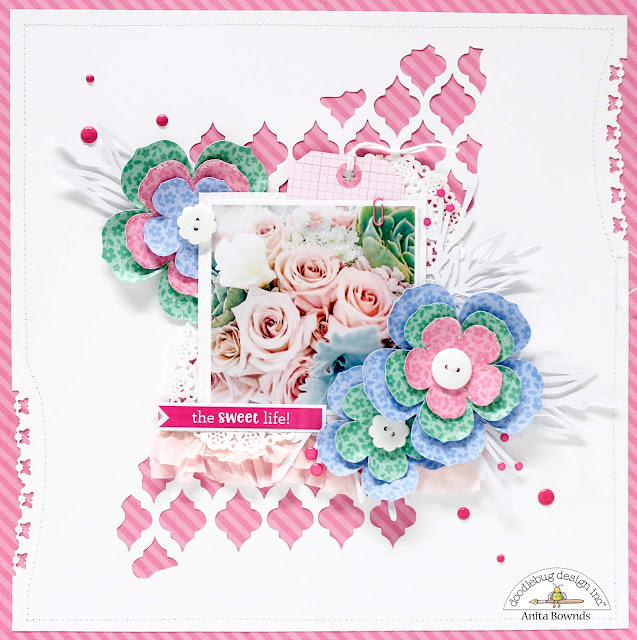 Layering them in different colours matching the flowers in the photo along with buttoned centers to add more dimension. 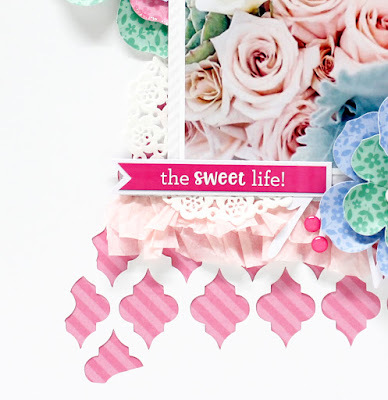 Next I used a background cutfile and cut the design out on my white cardstock and layering the white cardstock over the top of cupcake stripes petite prints patterned paper and machine stitching a border. 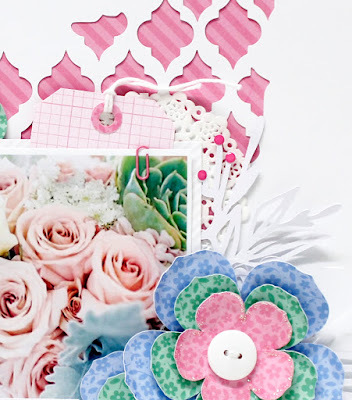 Then using a paper from the 6x6 dot - stripe I matted my photo and added 2 mini doilies behind in 2 corners. I added a few other cutfile cuts behind the opposite sides and added my big flowers on top of them. Then using some crepe paper I ruffled it and added it just underneath the bottom of the photo. 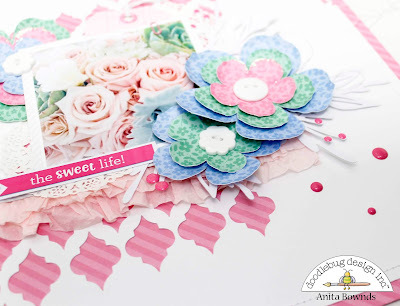 Next I added a tag, paper clip and some cupcake sprinkles around the layout. This is stunning! I love the cut-outs with the Petite Prints showing through!